The new age of egg curing has become more complicated. There are more steps and more ingredients. Meanwhile, if you ask an old time steelheader they would tell you to “just use borax cured eggs.” When I’m short on time and need to cure quality eggs I do something similar. Rather than plain borax, however, I’ve used BorX O Fire for almost a decade now. BorX O Fire is a easy to use and beginner friendly egg cure that yields spectacular results not only in the quality of the egg, but more important in the fish catching ability. BorX O Fire is a borax powered base cure that makes a beautiful natural egg just like the old guys like. Nonetheless, BorX O Fire out-fishes straight borax because it has the right amount of krill in it (scent), other secret ingredients and comes in different colors. 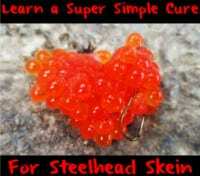 This enables anglers to gear their eggs to tackle different water conditions. Using pink, red, orange and natural (the colors it comes in) allows you to have a selection of eggs to match current river conditions. You can also mix the colors to come up with the perfect color of your choice. For the purpose of this blog I’m going to detail my quickest and most simple egg cure. This is a cure that is effective for veteran and first time egg curers. Step 1: Pat the skeins dry and push any blood out of the eggs. Step 2: Butterfly the skein up the middle into two pieces. Then cut those pieces in half. Step 3: I prefer to mix three parts Natural BorX O Fire and one part Pink BorX O Fire into a gallon Ziploc. However, if you want pinker eggs increase amount of pink. If you want a more natural color use more natural with only a hint of pink. Feel free to experiment with mixing colors and come up with many different colors of eggs. This by far my best coastal steelhead egg cure. Whether you’re fishing on the West Coast or in the Great Lakes different colors can be applied with this same technique. In fact, some anglers opt to only use one color, which is fine, too. Step 4: Drop your eggs in the Ziploc. 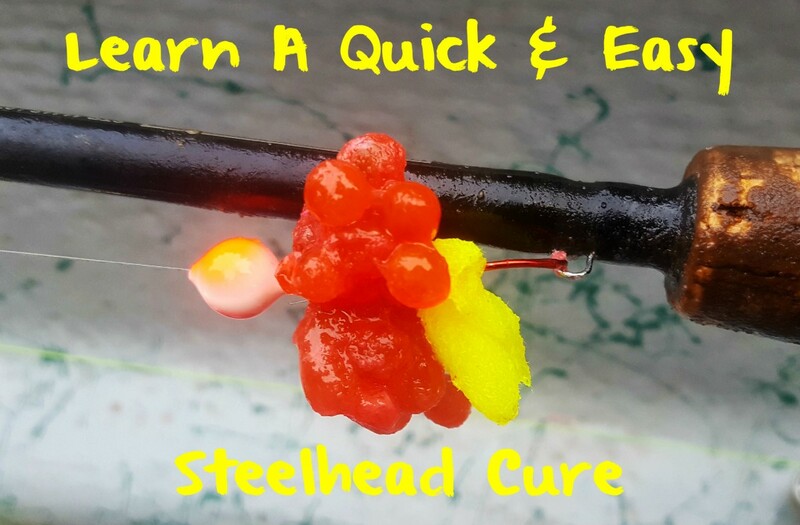 How much cure you add is a reflection on what type of egg you want to fish. The drier you want the egg the more cure you should add. At this point add your cure. Step 5: Shake the bag and roll the eggs around in it. Make sure to completely cover the eggs. Step 6: Set the Ziploc on the counter overnight. The eggs will be ready to fish in the morning. However, I prefer to let them sit for a couple of days for best results. Step 7: Take the eggs fishing or store for later use. For long-term storage squeeze the air out of the bag, roll it up tight and place in the freezer. As long as they don’t become freezer burned the eggs will be good for several years. Editor’s Note: Veteran guide Bob Kratzer operates Anglers Guide Service. 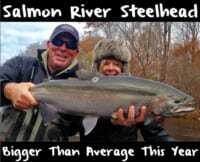 For more info on his guided steelhead trips please visit https://www.facebook.com/Anglers-Guide-Service-238776309479038/ or http://www.anglersguideservice.com.